Bring the Great Outdoors indoors in dramatic home fashion with this stunning wilderness landscape. Moose, bear, loon and deer come to light on a wispy Mauve Blue and Blue Green stained glass background. 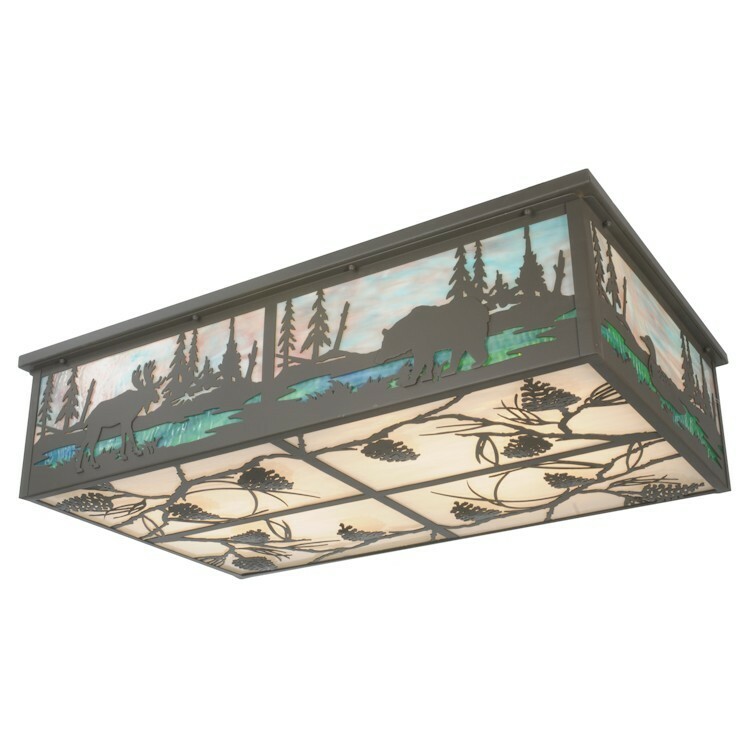 The Over Sized Wildlife Ceiling Light has Pine Cones that highlight the lower panels on Opaque White glass.